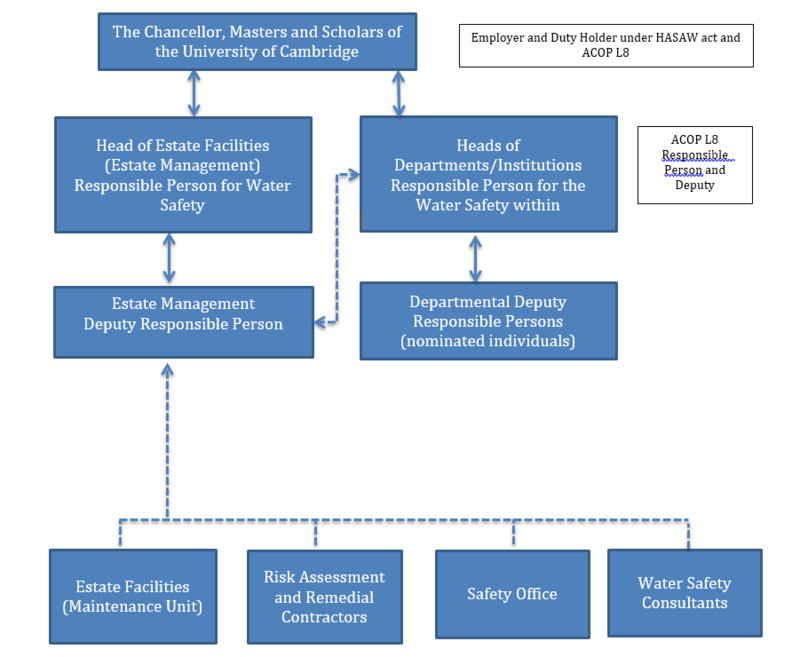 The Water Standard sets out the key legal guiding principles that support University of Cambridge Policy and Procedure in relation to ‘Legionnaires' disease. The control of Legionella bacteria in water systems, Approved Code of Practice and guidance, L8’. To provide guidance on the practical implementation of ‘The University of Cambridge Standard for Water Safety’ and describes suitable methodologies for the provision of safe hot, cold and drinking water and ventilation systems. 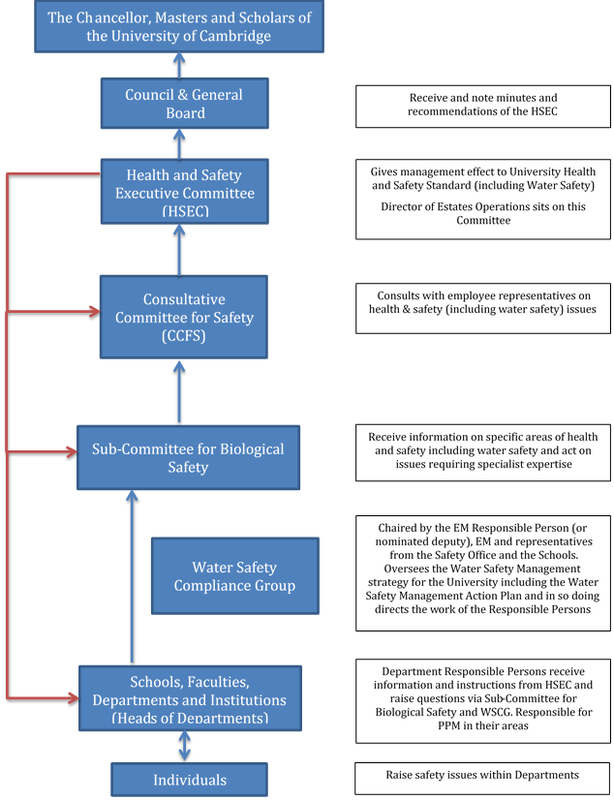 To provide practical strategies and procedures to enable the implementation of the Standard for Water Safety. To enable the University to comply with applicable legislation, statutory regulations and codes of practice. The duty holder should prepare and monitor any existing Written Scheme for preventing and controlling the risk. The Written Scheme gives an overview of responsibilities for tasks forming the basis of a Written Scheme. Estate Management recognises each Department shall have a different “Written Scheme” due to the differing installed assets. The document Water Safety Procedures including Written Scheme should be referred to when determining the “Written Scheme” for an individual Department. The “Written Scheme” may change as modifications are made to the systems. The “Written Scheme” is to be updated when these modifications are made. (e) the remedial action to take if the written scheme is shown to be not effective.